We especially condemn and in God’s name loathe those who, not only omit both kinds but also, quite tyrannically prohibit, condemn, and blaspheme the use of both kinds as heresy. In doing so, they exalt themselves over and against Christ, our Lord and God, etc. 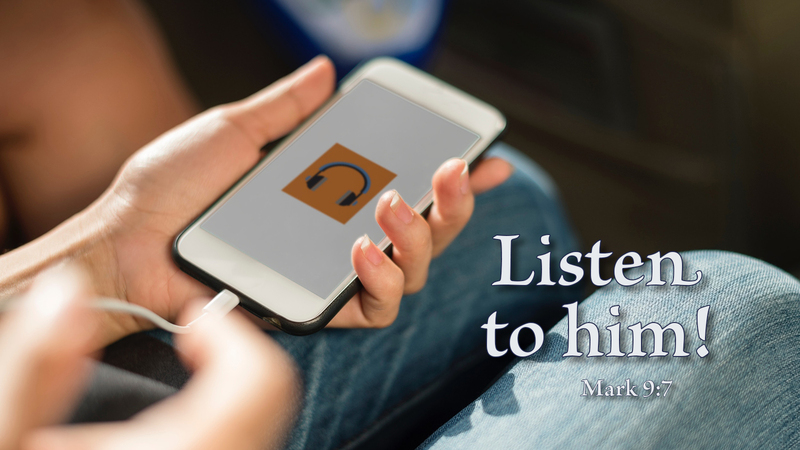 Who should the Church listen to: God or traditions? Christ or modern-day pharisees? The Holy Spirit or the teachings of the universities? God’s Word or church councils? Much of the Church is in a cloud of her own making. May she look around at all she has contrived, and see only Jesus—and listen to him instead of herself. Prayer: Speak to me, Lord, and I will listen. Amen. All of the Sola Sunday Schoolhouse materials for Year C may be found here. They include reproducible sheets of Bible lesson, pictures, drama, worksheets, and a Christmas program. 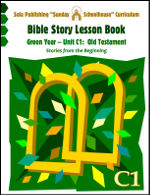 This is the Schoolhouse unit subtitled "Stories from the Beginning," covering Bible stories from the first half of the Old Testament, from Genesis through Joshua.